The ultimate list of 371 titles is, therefore, as accurate as I could make it. I'm sure I missed some titles, but hopefully not too many. 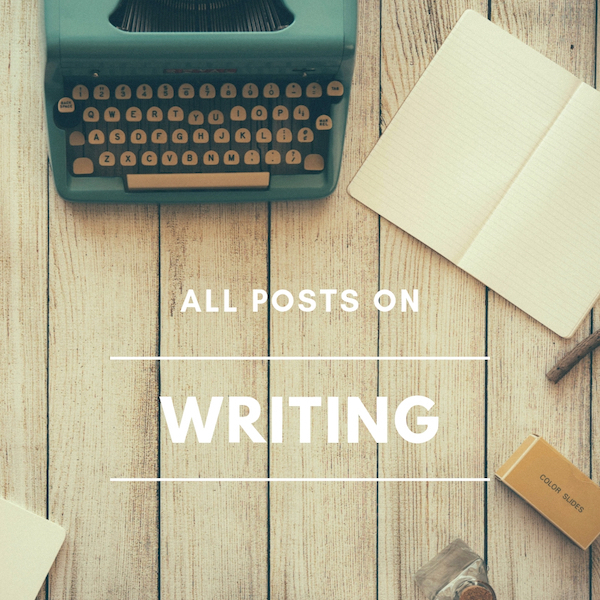 The data showed that from 1969 to 2011, the number of LGBT YA novels has risen somewhat steadily, with a few dips in various years. The most notable recent dip occurred in 2010, in which only 11 LGBT YA titles were published, compared to 36 in 2009 and 25 in 2011. This might be a reflection of the economy, which crashed in 2008, and most publishers shrank their lists in 2009. It's nice to see, however, that the trend continues upward once again this year. Then I took a closer look at LGBT YA published from 2000 to 2011, first splitting it up by publisher. The category "Other Publishers" includes independent presses like Foglight Press and Alyson, as well as medium-sized publishing houses such as Disney Hyperion, Bloomsbury/Walker, Amulet, Candlewick, and Flux. As you can see, 30% of LGBT YA is published by non-big 6 publishers, with Simon & Schuster leading the pack of the big 6. However, this data doesn't conclusively prove that S&S is the the most gay-friendly publisher, because it doesn't take into account the percentage of LGBT YA published by a publisher in relation to the total number of YA titles published by that publisher. I also discovered that a number of LGBT YA books weren't actually about an LGBT teen, but rather were about a straight teen and his LGBT parents or adult guardians. 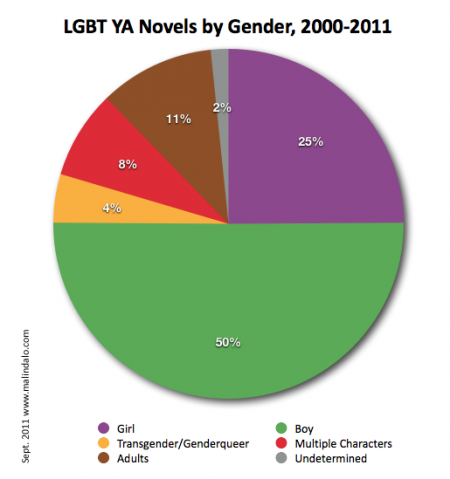 This shows us that 50% of LGBT YA books are about boys, with only 25% about girls. I find this extremely depressing, especially considering the predominant readership of YA is female. Even more depressing is the fact that only 4% of LGBT YA books are about transgender or genderqueer characters. The only light at the end of the tunnel about this statistic is that since 2007, every year has seen publication of at least one trans/genderqueer title, and in 2011 we have three (including one book that includes both trans and lesbian characters). Finally, according to Harold Underdown's YA Books Are Booming--but not That Much, there were approximately 4,000 YA titles published in 2010. 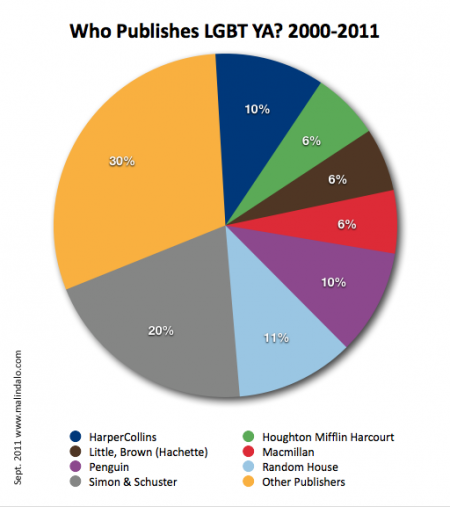 That same year, only 11 LGBT YA titles were published. That amounts to 0.2% of YA books. That fraction is frankly too small to make a pie chart out of. I often hear people saying that publishers aren't willing to publish LGBT YA, or that each publisher only publishes one LGBT YA per year. This, statistically, isn't true. 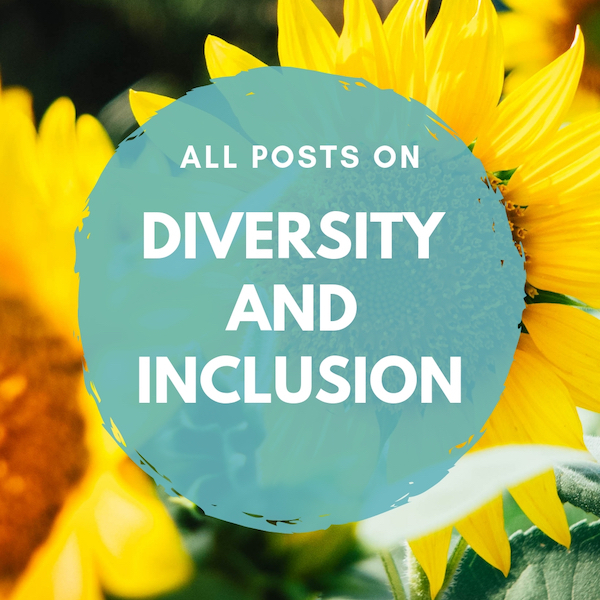 Every one of the big 6 publishers (and plenty of smaller ones) publish LGBT YA titles, and several of them do publish more than one per year. However, the proportion of LGBT YA to non-LGBT YA is so tiny as to be laughable. The good news is, the numbers have continued to increase over time, and other than the dip in 2010, the increase has sped up since 2000. The bad news is, the G in LGBT far outpaces L, B, or T.
I think, overall, it's a two steps forward, one step back kind of situation. And I think that true growth in the number of LGBT YA novels will only come through active effort on the part of agents, editors, and publishers, to seek out and acquire LGBT YA novels. ((Some people will see that negatively as affirmative action or quotas, which is also disheartening because that misunderstands the purpose of affirmative action entirely.)) I know that change happens one person at a time, but simultaneously, it's hard to not be discouraged by the stats. 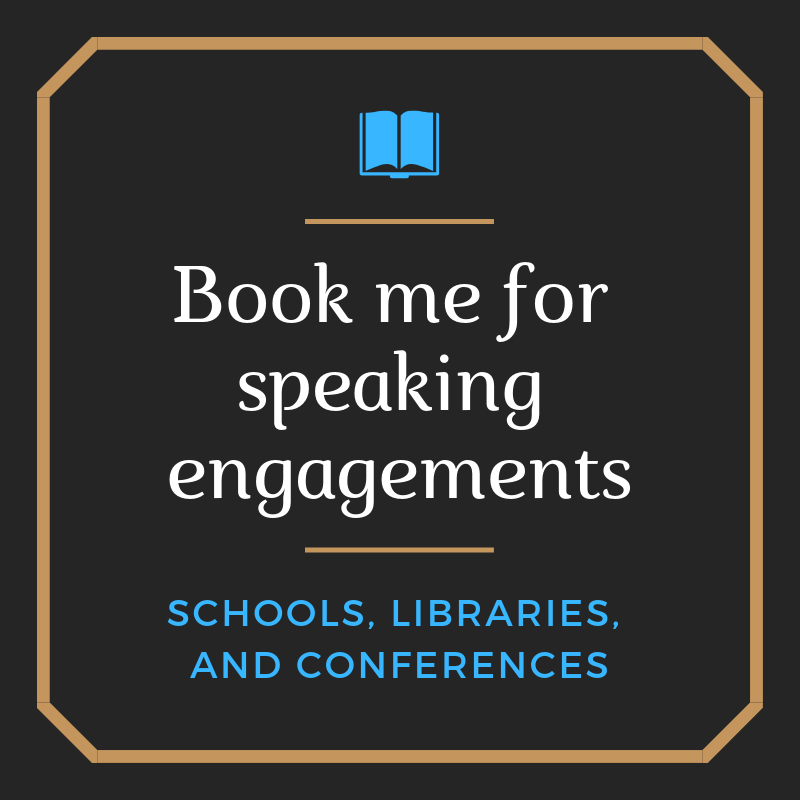 Several people have asked me to share the bibliography of books I used to make these lovely pie charts. The bibliography for books from 1969-2008 is available online here at Christine Jenkins' site. For 2009-2011, Michael Cart shared his list of books with me, and then I supplemented it with my own list. I combined our lists into this handy PDF of 2009-2011 LGBTQ YA titles that you can download. I can guarantee you that this list of probably not complete. Someone on Twitter yesterday told me I'd omitted the Pretty Little Liars series, and after reading her tweet I realized I'd also omitted the Gossip Girl series. This is true! My question is: Does every book in those series count? Do they all contain LGBTQ main or secondary characters? Also, sadly I should note that even if I double the number of titles on the list, the total percentage of LGBTQ YA will still only be approximately 1% of all YA books. What does "authentic" mean, anyway? On avoiding the exotic in "Huntress"